At Adaptive Computers we strive to be the best computer repair shop. We are proud to provide the highest level of service and treat all customers with both honesty and integrity. We use a unique approach to computer repair. We believe in honest work, teaching our customers how to properly operate their computers to avoid future problems, and we don’t sell or repair things that our customers don’t need. We believe in integrity! We offer our services with the belief that our customers are our family. Our customers are our strength and what they think of us can make or break us! We respect Our Customers. We try to insert humor, training and education into every possible interaction. We want to be a permanent fixture in the lives of our customers – and many of our Customers keep in touch with us. We believe everyone deserves to be treated with equality, consideration, respect, fairness and kindness. No matter who you are, you’ll get equal high quality treatment from us. We also are dedicated to making a difference in people’s lives. We like to see our business customers succeed and we enjoy helping them get to where they need to go. We enjoy helping others! And that’s what makes us unique! Owner, Ross Thayer, grew up exposed to technology before the beginning of technology for the masses. His father Bill Thayer was a research and development engineer for Hewlett Packard in Corvallis Oregon - who's design teams created cutting edge integrated circuits for calculators, and printers. Ross grew up in an environment exposed to oscilloscopes, transistors, diodes, capacitors, and free rein to explore the technology. With a nurtured love for learning and solving technical problems, In 1980, Ross began learning how to program software on the Apple II computer platform in High School. Graduated from Oregon State University with a Bachelor of Science Degree in 1990, and moved to Bend Oregon. In Bend he learned under the Tech Guru, Don Thompson of MicroSphere Computers, and Programming Genius Larry Hunt, of the AristoCAT Development Corporation. Through this extensive training and deep level understanding he became very successful with building computers, solving computer repair woes, Networking, and developed a desire to serve those in need of high performance solutions. 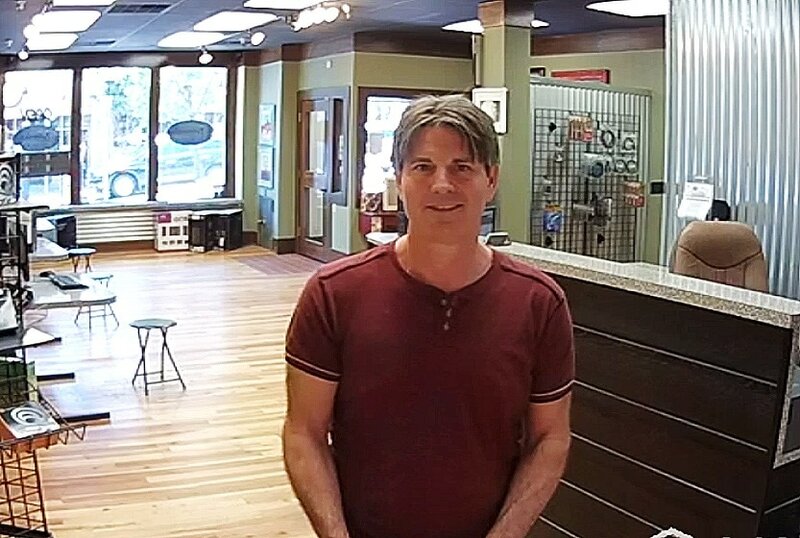 Ross branched out and opened Adaptive Computers, a custom computer and service retail location, located in beautiful downtown Hood River in 2000. His goal and philosophy of providing win win solutions for both customers and the store has provided Adaptive Computers with the respected reputation of honesty and integrity that it has today! Since then Adaptive Computers has developed thousands of customers who have shared us with their friends and family members and we are grateful for both their loyalty and friendship.